EVERGLOW Capture the World Charts, MV surpassed 6 Million Views. EVERGLOW released their debut album "ARRIVAL OF EVERGLOW" on 18, capturing iTunes K-pop charts around the world as well as their title track "BON BON CHOCOLAT" as well as his song "Moon," which first exploded overseas to demonstrate the power of the monster rookie. The "BON BON CHOCOLAT" ranked No. 1 in the six countries of Britain, Qatar, the United States, Vietnam, Brazil and Sweden, second in Japan, Romania, Malaysia and Laos, third in Australia, Canada, France, Mexico, Singapore, and fourth in Germany, Hong Kong and Indonesia. Following Spain's top spot, "Moon" has been receiving heated responses, sweeping the top five rankings in the U.K., Japan, the U.S., Germany, Singapore and Chile, as well as charts in about 20 countries at the same time it debuted. It also proved once again that it is the hottest new girl group to capture the world in 2019, recording 5.14 million views on YouTube at 6 p.m. on 20, and 6.18 million at 8 a.m. on 21, 48 hours after the release of the music video. 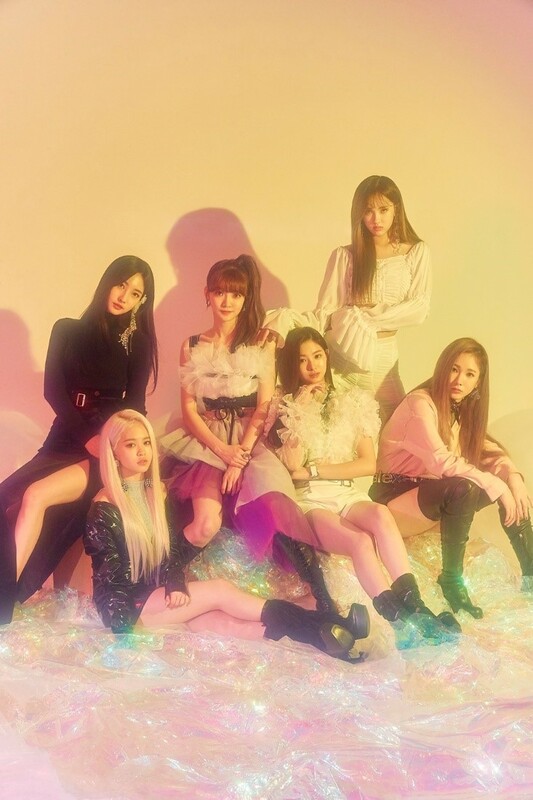 Hot rookie EVERGLOW believes in showing the perfect stage performance and the visual with their concept of sparkling chic, is set to hold their debut ceremony on Mnet's "M Countdown" at 6 p.m. on May 21, and challenge the K-pop scene. Attention focusing to EVERGLOW's move in the K-pop scene.